We know Twitter has made a lot of things that were eventually accepted by other platforms like facebook and hashtag was a kind of thing that facebook literally copied from Twitter, though the hashtag thing doesn’t work very well like it does on Twitter as people often misuse them for no reason and eventually they fail to convey their message. today, Twitter has killed its own trademark feature: Favorite option which was a way to express that a particular user appreciates and loves a tweet, no matter whether it’s about some real time event or a cute cat GIF. Twitter has officially dumped the Favorite option and now, it will be called as Like, yes just like Facebook it will be called just like. Along with this, the icon is now also changed to a heart instead of a star that used to be on Twitter for a long time. But i think some people are not very comfortable with this new way to showing how much they love someone’s tweet. Some people are even running polls to find out whether its a good idea or a bad move. 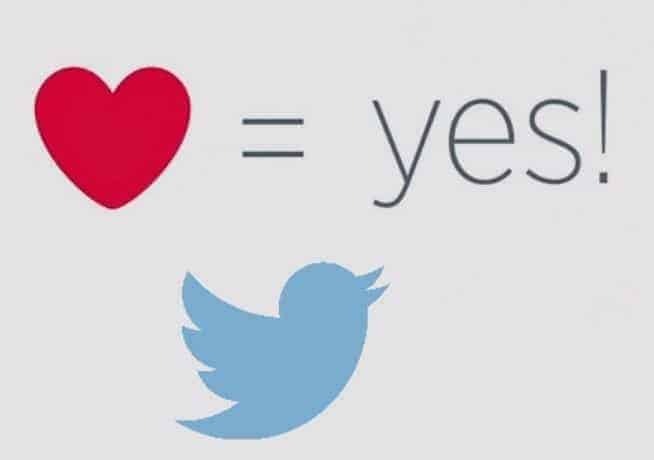 Do you like the @Twitter change from a star to a heart for when you like a post? @twitter The opposite is true: I'm comfortable giving anyone a Gold Star for any kind of good tweeting, but "heart"-ing and "like"-ing? No. Some people seem to be unhappy with Twitter. @twitter You Facebooked my Twitter? Well, actually the main mechanism is same but it matters a lot, as it is kind of facebook like if we just speak casually. And yes, I must provide an opinion and I can’t forget about that. I completely disagree with that. Dear @twitter , @facebook borrowed hashtags from you! But please remove this like from Twitter, it feels like I'm using Facebook.